Constipation is a vata condition expressing such vat a qualities as dryness and hardness. It is caused by insufficient fiber in the diet, insufficient water intake, lack of exercise, heavy meat eating, and numerous other factors. Constipation may create distension and discomfort, flatulence and pain, headache and bad breath, and may lead to absorption of toxins from the colon. Thus it is best to prevent constipation by keeping vata in balance. One of the best ways to prevent constipation, especially if you have a predominantly vata constitution, is to follow the vata-balancing diet . Stay away from cold foods and drinks, dried fruit, salads, and most beans; favor warm foods, warm drinks, and well-cooked vegetables. Some oil in the diet is helpful. Triphala : 1 capsule twice daily, with plain water. Yakrit Plihantak Churna: 1 teaspoon twice daily, with warm water before meals. Kumari Saar : 15ml twice daily with equal quantity of water on empty stomach. Probably the best Ayurvedic remedy for constipation is Triphala, a combination of three herbs beneficial for all doshic types . Most problems with constipation can be corrected by taking 1/2 to t teaspoon of Triphala powder or Vara Churna at night. Steep the herbs in a cup of hot water for 5 to minutes, and drink.Some people find that taking triphala at night creates a diuretic action and they have to get up several times to urinate. If that happens to you, you can steep the triphala in a cup of warm water overnight and drink it first thing in the morning. Actually, the best time to take triphala is in the very early morn?ing, around 4 or 5 A.M., but do your best within your daily schedule. Yakrit Plihantak Churna - Yakrit Plihantak Churna is a herbal mixture of rare herbs to improve liver function. It helps the liver in clearing away the toxins. It is also useful in relieving constipation and very useful in many liver conditions like liver enlargement, fatty liver, jaundice.. 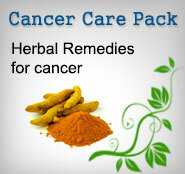 It can also be used in ordinary as well as severe constipation. I does not cause gripping or purgation.... Know more. Many varieties of fruit can help remedy constipation. So in between meals, eat some fruit. A banana, for example, is a mild laxative. Two ripe yellow bananas, taken between meals, will help relieve constipation. (But don't eat the bananas with meals. They don't combine well with other foods. NOTE: Bananas should be eaten when ripe. You can tell a ripe banana by its bright yellow skin. The inside will be studded with tiny black dots. Green bananas are constipating and should be avoided. Also avoid eating bananas once the skin turns black. They are overripe. There is a lot of truth in this old folk saying. Apples are effective both to help regularize the bowels and to clean the tongue and teeth. 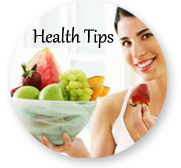 To combat constipation, peel and thoroughly chew a raw apple about an hour' after a meal. Fiber in the diet, such as wheat bran, oatmeal, or oat bran, will help keep the bowels regular. Don't forget that fresh fruit and vegetables as well as whole grains are high in fiber, too. Taking 1 or 2 teaspoonfuls of ghee in a cup 01 hot milk at bedtime is an effective but gentle means of relieving constipation. This is especially good for vata and pitta constitutions, but it may be too kapha-increasing for kapha types to use regularly. Castor oil can also be used. but only when the constipation is more obstinate. At bedtime, make yourself a cup'; ginger tea (either by boiling some fresh, sliced ginger in water, or adding some powdered ginger to a cup of hot water), and then add 2 teaspoons of castor oil to the tea to drink it. If 2 teaspoons don't bring the desired result, try the procedure again the 2nd night, increasing the dose to 3 teaspoons and then go to 4 teaspoons if necessary Adjust your dose according to what works. Use this castor oil laxative treatment on weekends, when you can stay home. Castor oil tends to create dependency, in the sense that once you use it, other purga?tives rarely work. That is why it is recommended to use castor oil for constipation only in severe cases or in emergencies, as a last resort, but not on a regular basis. However, there is one way to avoid this dependency. Take 2 teaspoons of castor oil with 1 cup warm milk. This will give a good bowel movement without creating dependency. At night, boil 1 tablespoon of flaxseed in a cup of water for at least 2 to 3 minutes. Then drink the whole cupful, including the tea and the seeds. Give the child 3 figs soaked in warm water. If there is absolute constipation for three days, don't use purgatives. The use of drastic purgatives when constipation is severe can create an intestinal obstruction or even perforation, which can be dangerous. A better approach is to do an enema and then take steps to reg?ulate the system. Do the enema with plain warm water, or you can use triphala tea or dashamoola tea instead of plain water. That will relieve the immediate problem. Then, to regulate bowel movements, follow the suggestions in the following section. PREVENTION - Here are several suggestions for avoiding constipation in the future. Use a lot of fiber in your diet. Drink 4 to 5 glasses of water a day, in addition to whatever juices or teas you may drink. Get regular exercise. Half an hour of walking, light jogging, swimming, or other aerobic exercise (suitable to your constitution, age, and level of fitness) from Monday to Friday will be very beneficial. Yoga asanas will also help prevent consti?pation. In particular, practice the Sun Saluta?tion (12 cycles a day), Chest-Knee pose, and Leg Lift. The yoga exercise known as nauli will also be beneficial.